Just months after the 2014 Chevrolet Silverado and 2014 GMC Sierra half ton pickups began hitting dealerships around the country; General Motors has announced a voluntary recall of some 21,721 new trucks because the front seats could move in the event of a hard rear end collision. The 21,721 2014 Chevrolet Silverado and GMC Sierra 1500 pickups affected by this recall are equipped with manual front reclining seats so those trucks included in the recall are most likely lower cost trimline models. General Motors is concerned that in the event of a hard rear end collision, these manually adjusted seatbacks could release and that unexpected movement increases the likelihood of an injury. This unwanted movement of the seatback during a hard collision is also in violation of the Federal Motor Vehicle Safety Standard requirement on seat safety and even though there have been no reported occurrences of this problem in the real world, a recall is a must so that this problem can be rectified before there are any injuries during hard impacts. 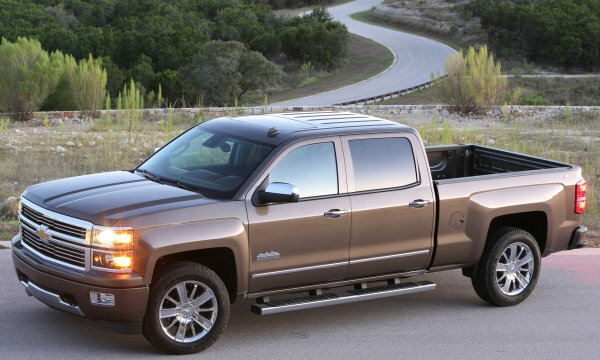 Of these 21,721 2014 Chevrolet Silverado and GMC Sierra 1500 pickups being recalled, 18,972 were sold in the United States while another 2,575 were sold in Canada and 103 sold in Mexico. There are also 71 examples of the new Silverado and Sierra pickup that were sold in various markets outside of North America. Once these trucks return to dealerships in their respective locations, a technician will inspect the manual reclining mechanism and if the assembly is out of spec, the necessary repairs will be made to ensure that the seatbacks stay in the locked and upright position during a collision. As is always the case with a safety recall, the work performed will be done free of charge to the truck owner. It is unclear right now whether the fix for this recall is as simple as an adjustment to the current seat hinge assembly or if the technician will need to replace components. Depending on the amount of items being replaced, this recall could be a short and sweet fix or it could be more time consuming if the dealership has to remove and replace a bunch of components of the seat assembly. Since the National Highway Traffic Safety Administration (NHTSA) is one of the departments involved in our failing government’s shutdown, we don’t have all of the details that come via the NHTSA website like the expected launch date of this recall but we can expect that due to the potential severity, the owners of these new Chevy and GMC 1500 pickups will be notified soon about the concern with their truck. More information will likely be available soon once the government decides to come back to work but in the meantime, anyone who owns a 2014 Silverado or Sierra 1500 pickup with manual reclining front seats should contact their dealership for more information.